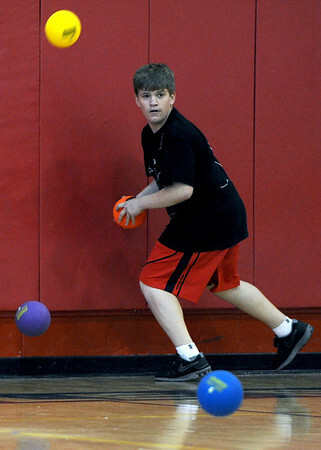 Sarah Nader - snader@shawmedia.com Tommy Kelly, 14, of Island Lake dodges balls while participating in the Spring String Charity Dodgeball Tournament in Island Lake on Saturday, March 24, 2012. Proceeds from the game helped to benefit Curesearch for Children's Cancer. Sarah Nader - snader@shawmedia.com Jessica Make, 29, of Cary held her own while being one of the few women players during the Spring String Charity Dodgeball Tournament in Island Lake on Saturday, March 24, 2012. Proceeds from the game helped to benefit Curesearch for Children's Cancer. Sarah Nader - snader@shawmedia.com Dylan Oaks, 14, of Port Barrington tries to dodge all the balls while participating in the Spring String Charity Dodgeball Tournament in Island Lake on Saturday, March 24, 2012. Proceeds from the game helped to benefit Curesearch for Children's Cancer. 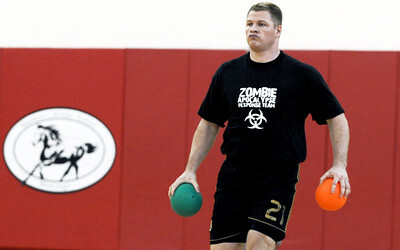 Sarah Nader - snader@shawmedia.com Zarin Stone, 27, of Chicago gets ready to throw his ball while participating in the Spring String Charity Dodgeball Tournament in Island Lake on Saturday, March 24, 2012. Proceeds from the game helped to benefit Curesearch for Children's Cancer. 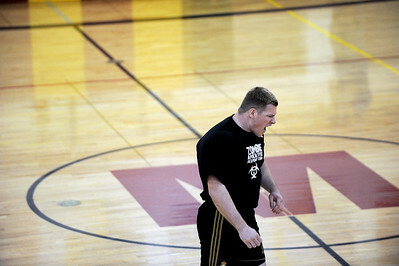 Sarah Nader - snader@shawmedia.com Eric Hunt, 25, of McHenry celebrates a win for his team during the practice round of the Spring String Charity Dodgeball Tournament in Island Lake on Saturday, March 24, 2012. Proceeds from the game helped to benefit Curesearch for Children's Cancer. 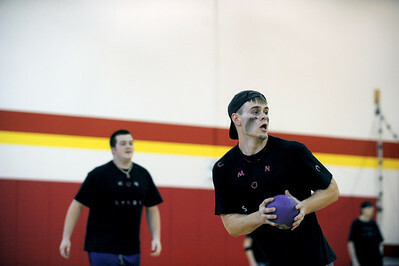 Sarah Nader - snader@shawmedia.com Chris Mims, 21, of Hoffman Estate gets ready to throw his ball while participating in the Spring String Charity Dodgeball Tournament in Island Lake on Saturday, March 24, 2012. Proceeds from the game helped to benefit Curesearch for Children's Cancer. 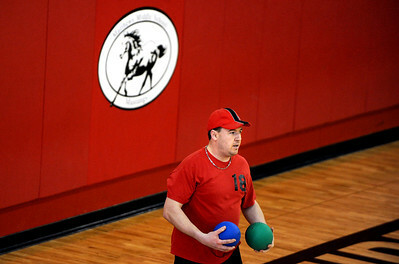 Sarah Nader - snader@shawmedia.com Bruce Paris, 21, of Island Lake gets ready to throw his ball while participating in the Spring String Charity Dodgeball Tournament in Island Lake on Saturday, March 24, 2012. Proceeds from the game helped to benefit Curesearch for Children's Cancer. 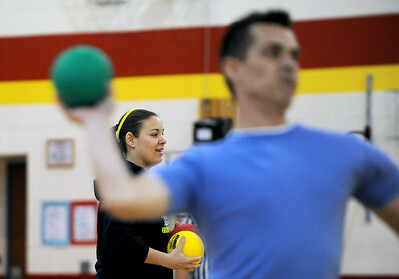 Sarah Nader - snader@shawmedia.com Kevin Thome of Lake Zurich gets ready to throw his balls while participating in the Spring String Charity Dodgeball Tournament in Island Lake on Saturday, March 24, 2012. Proceeds from the game helped to benefit Curesearch for Children's Cancer. 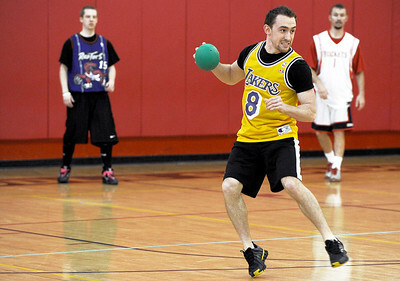 Sarah Nader - snader@shawmedia.com Eric Hunt, 25, of McHenry gets ready to throw his ball while participating in the Spring String Charity Dodgeball Tournament in Island Lake on Saturday, March 24, 2012. Proceeds from the game helped to benefit Curesearch for Children's Cancer. 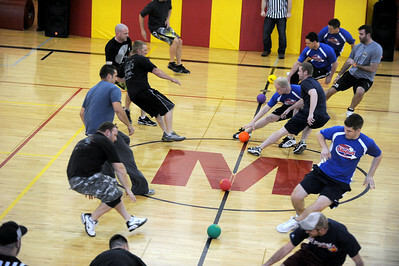 Sarah Nader - snader@shawmedia.com Teams run to the middle of the court to grab ball at the start of the Spring String Charity Dodgeball Tournament in Island Lake on Saturday, March 24, 2012. Proceeds from the game helped to benefit Curesearch for Children's Cancer. 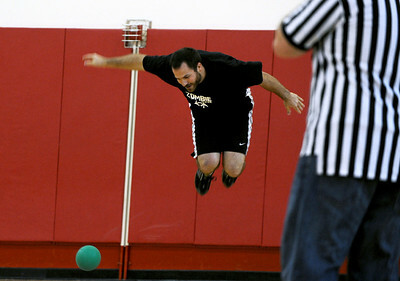 Sarah Nader - snader@shawmedia.com Chris Jackowiak, 25, of McHenry jumps to avoid the ball while participating in the Spring String Charity Dodgeball Tournament in Island Lake on Saturday, March 24, 2012. Proceeds from the game helped to benefit Curesearch for Children's Cancer. 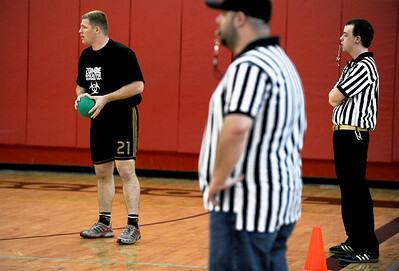 Sarah Nader - snader@shawmedia.com Eric Hunt, 25, of McHenry grabs two balls while participating in the Spring String Charity Dodgeball Tournament in Island Lake on Saturday, March 24, 2012. Proceeds from the game helped to benefit Curesearch for Children's Cancer. 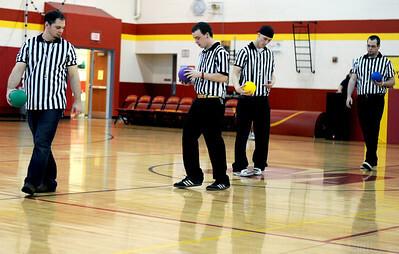 Sarah Nader - snader@shawmedia.com Referees place the ball at mid court during the Spring String Charity Dodgeball Tournament in Island Lake on Saturday, March 24, 2012. Proceeds from the game helped to benefit Curesearch for Children's Cancer. 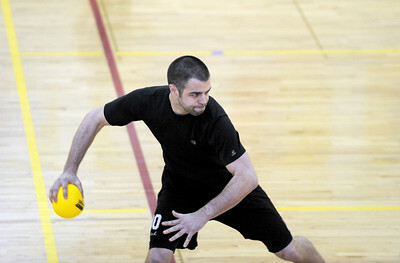 Eric Hunt, 25, of McHenry gets ready to throw his ball while participating in the Spring String Charity Dodgeball Tournament in Island Lake on Saturday, March 24, 2012. Proceeds from the game helped to benefit Curesearch for Children's Cancer.